All levels vinyasa flow. Whether you are new to yoga or are a seasoned yogi this class is for you! You will be guided through a vinyasa flow, simply connecting breath to movement. We will start by grounding your bodies, then we will begin to move slowly connecting our breath to each of our movements. Ultimately releasing and letting go of tension and tightness. You will leave class feeling rejuvenated, refreshed and open. This class is open to all! This class is an 8 week series, $80 for all 8 weeks OR $15 per drop in. Jennifer Khosla is the founder of Lean and Green Body®; a holistic approach to wellness, specializing in Holistic Nutrition, Yoga, Personal Training and Standup Paddle Boarding. Jennifer received her B.S. in Athletic Training from Springfield College. She later went on to study clinical dietetics, holistic nutrition and modalities to heal the body naturally through nutrition and lifestyle. Jennifer completed her first yoga teacher training with Jeanie Carlstead at the La Jolla Yoga Center. She is a E-RYT-200 hr, certified with Yoga Alliance. She has completed workshops with David Swenson, Erich Schiffman, Bryan Kest and Swami Nitya. Jennifer has a passion for helping her clients achieve their health and fitness goals. She does this through her yoga classes, personal training, nutrition and hypnotherapy. Chair Yoga: (All levels) Returning to yoga after an injury or surgery may best be accomplished by the transitional stage of Chair Yoga. Others with arthritis, bone issues, or a preference for staying off the floor may prefer yoga in a chair. Chair Yoga is a fine practice on its own or as a transitional stage between injuries and full mobility. As with any other yoga class, working with the breath, balance, posture, and core strength are an important part of the class. Drop in rate: $7. Nora van Houten is a 500-Hour Teacher, Graduate of Yoga Alliance and Kripalu Center for Yoga & Health, practicing 15 years. She is a Registered Nurse serving 27 years in the Community as a Health & Wellness Educator. Nora is passionate about teaching students who are new to Yoga or those who want to integrate their practice with the use of props to enhance and sustain healthy living of body, mind, spirit. Cynthia Vander Wielen has been practicing yoga for more than half her life, and teaching yoga for over 15 years. Before relocating to Naples in 2011, Cynthia was a studio owner of donation based Gateway Yoga in the Midwest. She believes yoga classes from a skilled teacher should be available to everyone regardless of their financial situation, and not limited to those with financial freedom. With that being said, she is excited and honored to be a part of our Zen Center. As a physical therapist, Cynthia’s no nonsense classes focus on Alignment and Safe, Intelligent transitions with respect for the skeletal and musculature. Her ability to teach to the room and not just to a few is evident in her class. She will deliver detailed instruction for asana, pranayama, and meditation without preaching about life’s difficulties or fruits. Chair Yoga: (All levels) Returning to yoga after an injury or surgery may best be accomplished by the transitional stage of Chair Yoga. Others with arthritis, bone issues, or a preference for staying off the floor may prefer yoga in a chair. Chair Yoga is a fine practice on its own or as a transitional stage between injuries and full mobility. As with any other yoga class, working with the breath, balance, posture, and core strength are an important part of the class. 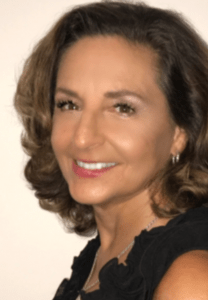 Nora is a Registered Nurse, 500-Hour Certified Kripalu Yoga and Meditation Teacher with 35 years experience dedicated to teaching safe and effective Fitness / Wellness programs in the community.